Printed and sculpted paper, wire, beads and ribbon. 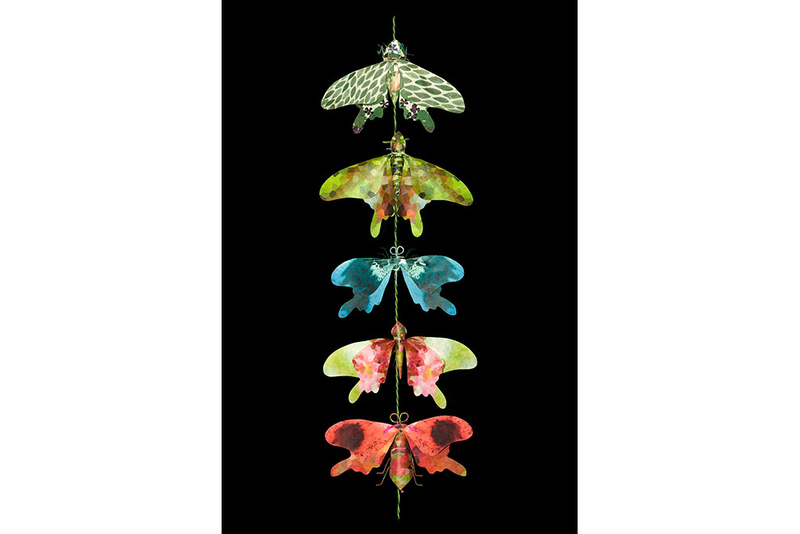 Original - 16"x12"x8"
Photo montage of flying flowers. Limited Edition Archival Print - 18"x42"
Mono-printed Japanese paper collage, rivets. Original - 18"x12"
Mono-printed Japanese paper collage, rivets. Original - 24"x12"
Grasshoppers and crickets abound on the South Saskatchewan prairie. As kids, we kept them in boxes and forced them to run races and ‘spit tobacco’. As an adult, my fascination with insects grew; studies in entomology revealed ridiculously coiffed antennae, spiky legs, and bulbous, multi-coloured eyes - perfect material for art. But I also learned about insect-plant symbiosis, habitat destruction, and our dependence on insects to pollinate food crops. 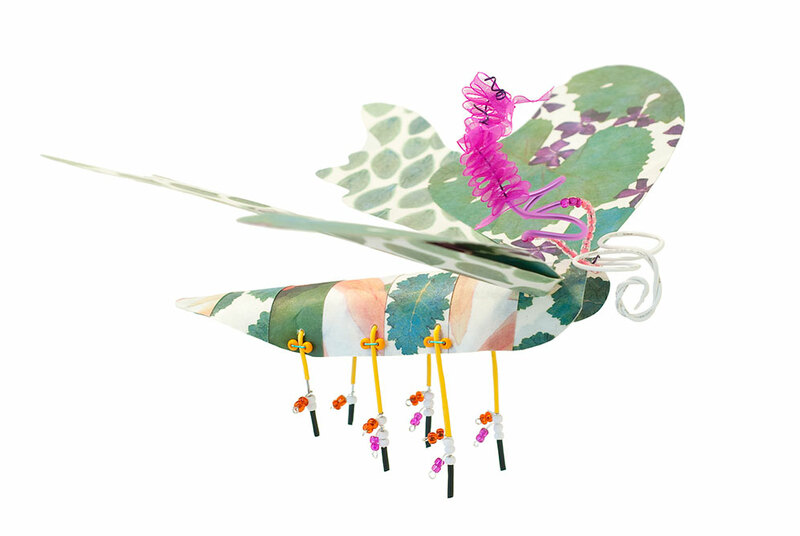 The child in us may react to the paper insects in this collection as toys or ornaments. I also hope that we are moved to cherish biodiversity and to remember that although the natural world can survive without us, we can’t survive without it.